After Volvo yesterday posted a nice hands-on video highlighting Apple’s newly launched in-car system dubbed CarPlay (previously known as iOS in the Car), Mercedes-Benz (one of the three CarPlay launch partners) has posted a video tour of its own which gives us a hands-on demo of CarPlay in its new C-Class and showcases real-world Siri integration. The video runs seven minutes and 27 seconds long, here it is (via iFun.de). 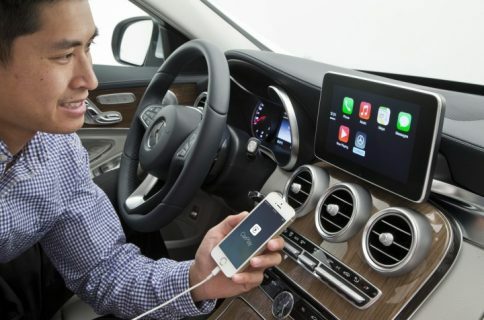 Yesterday, Mercedes-Benz posted high-quality press shots depicting CarPlay in action. 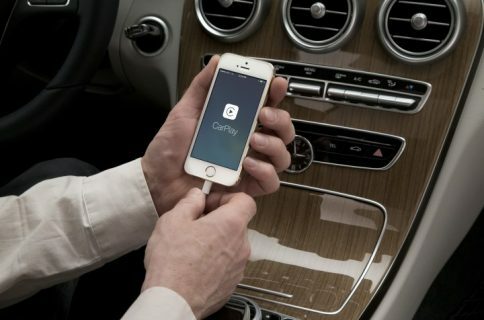 In addition to launch partners Ferrari, Mercedes-Benz and Volvo, other car makers will roll out CarPlay in their vehicles later this year, including such names as BMW Group, Ford, General Motors, Honda, Hyundai Motor Company, Jaguar Land Rover, Kia Motors, Mitsubishi Motors, Nissan Motor Company, PSA Peugeot Citroën, Subaru, Suzuki and Toyota Motor Corp.
CarPlay will be enabled via an upcoming iOS 7 software update on Lightning-enabled iPhones, including the iPhone 5s, iPhone 5c and iPhone 5. The feature will be initially available in the United States, United Kingdom, Australia, Canada, France, Germany, Hong Kong, Italy, Japan, Mexico, Republic of Korea, Spain and Switzerland. 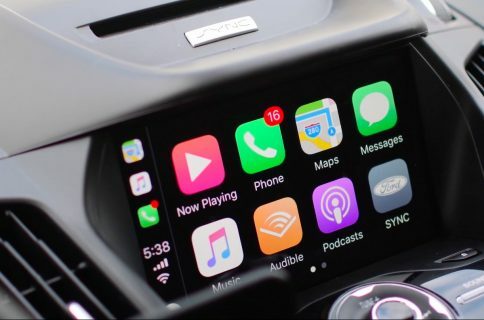 Earlier today, one blog was able to confirm with BlackBerry that CarPlay is based on the QNX software the Canadian smartphone maker purchased from Harman International Industries back in 2010.